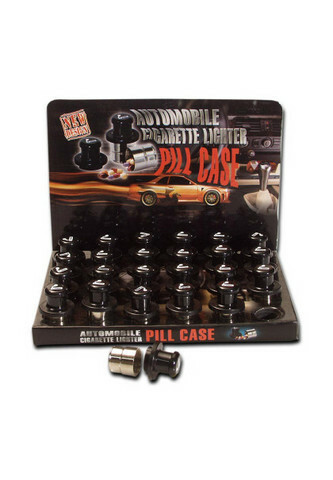 Cigarette lighter dummy can be used as a stash container or pill box and comes with a screw cap. You can hide here many little things against curious views or only keep things in an unsusual stylish container. When ordering as from 24pcs a display box is included.